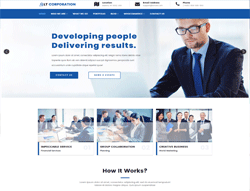 LT Corporation is Responsive Corporation Joomla template. This is creative and professional template for businesses to provide information about their company and its products or services. LT Corporation supports mobile devices with 100% responsive layout. In addition, it builds on powerful framework with completely bootstrap, strong shortcodes, unlimited module position, 4 color styles and easy to custom layout without code modification. We also provide flexible home page which includes boxed and full width layout.